The Substance Abuse and Mental Health Services Administration (SAMHSA), working in collaboration with the Ad Council and the Inspire USA Foundation, has launched a national public service announcement (PSA) campaign designed to reduce the incidence of suicide and suicide attempts among 13 to 17 year old teens in the United States. 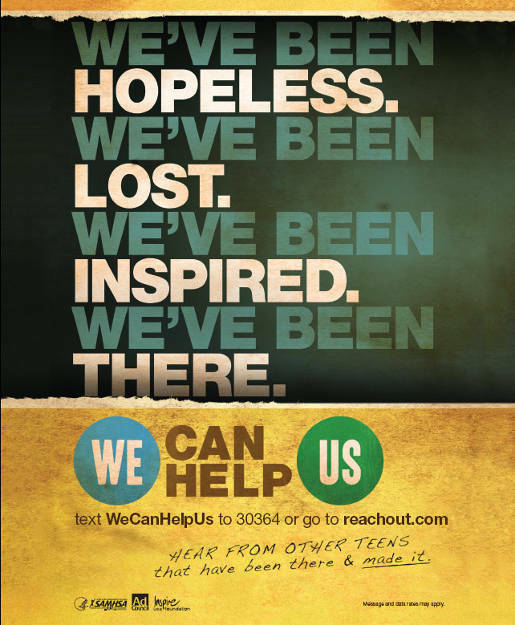 The WeCanHelpUs campaign tells teens that whatever their problem, there is a way to get through it. Created pro bono by DDB New York, the campaign includes television, radio, print, outdoor and interactive elements, as well as posters in schools and malls. 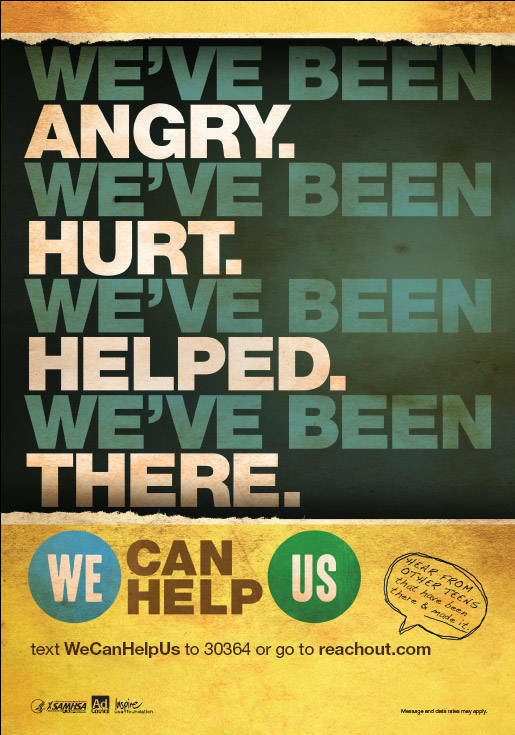 The PSA campaign begins with the insight that many teens encounter the same tough times, but many also develop positive solutions to help them get past them. Viewers are directed to visit us.reachout.com, where they can view and listen to stories from teens who have been there and made it. 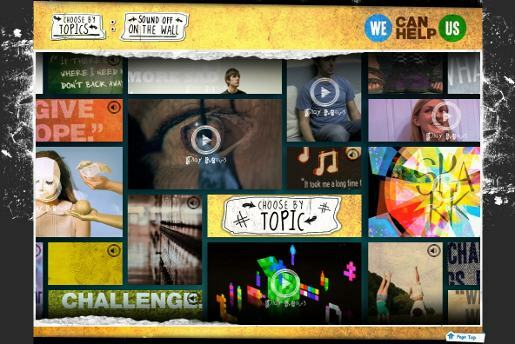 The site includes a range of videos from people who have been through struggles, depression and anxiety and survived, along with supportive advice and connections with help agencies.